Spyshots and rendering make the Duster look different in both. 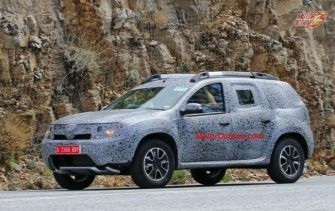 Looking at the spyshots, it does look similar to the current Duster. The Grand Duster will get roof rails. The door handles aren’t grab on. 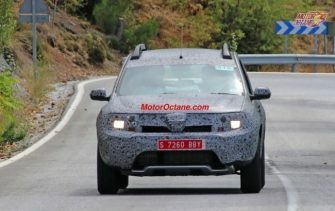 Renault has been working on the new-generation of the Duster, and even the 7 Seater version will get similar one. The Grand Duster will be more subtle than muscular. It shall have contemporary styling. 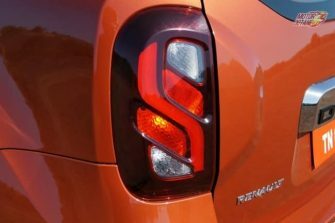 The taillamps of the Grand Duster are square in shape and it resembles some new generation Fiat vehicles, like the Renegade. 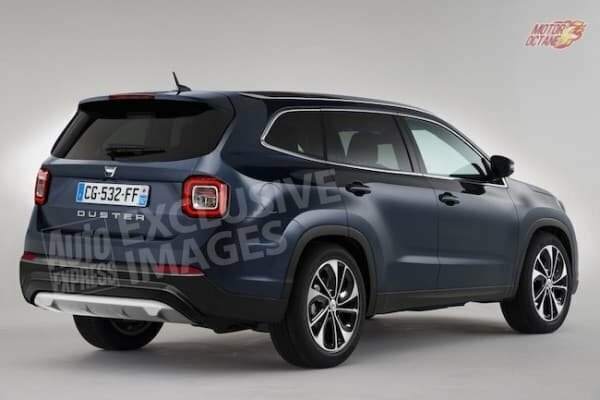 In fact, the Grand Duster rendering reminds one of the Fiat Freemont SUV. 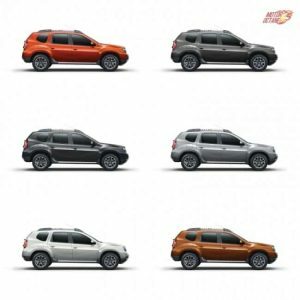 This seems to be the new design language for all Dacia products. The Duster and the new Grand Duster will share the same platform, the Grand Duster will get larger wheels. The door handles in the spy shots are not grab type, as shown in the rendered images. 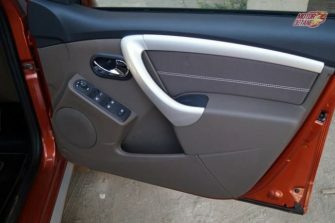 The interiors will be similar to the existing model. 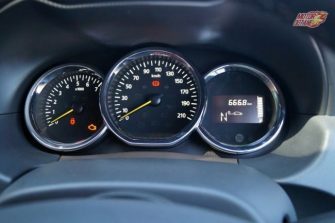 Some elements like the instrument panel might be carried over. 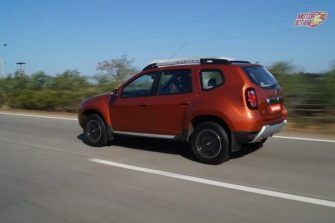 The Grand Duster will get a rugged styling similar to the existing Duster and will get features like cruise control, touch-screen infotainment system. 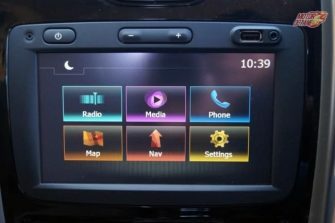 This will also get navigation and a reverse parking camera. 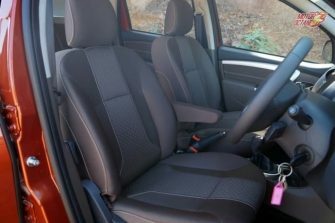 The overall quality of interiors will get an upgrade in the Grand Duster. The 7 Seater Grand Duster will have similar space in the first two rows. The space for front row passengers is good, be it head room or even leg room. 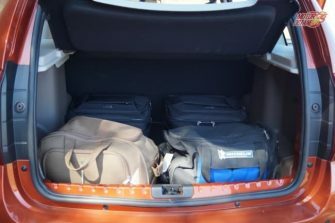 While the second row has enough space too. 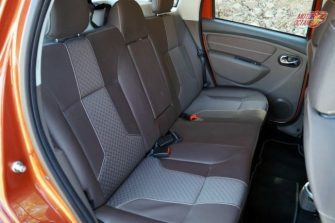 The seats are expected to slide and recline for better flexibility for the third row seating. The last row might be a little tight on space especially the knee room, but should be good enough for children. As the Duster is raised after the second row, there won’t be much room for the third row of passengers. The boot will be small when the third row of seats are raised. 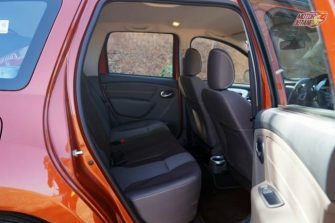 This means that the Duster won’t have a lot of space for luggage when all the three rows of seating are utilised. 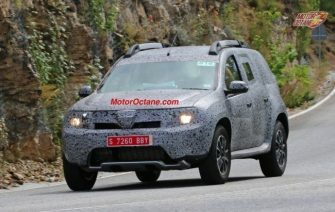 Dacia will be the first to get the Duster. 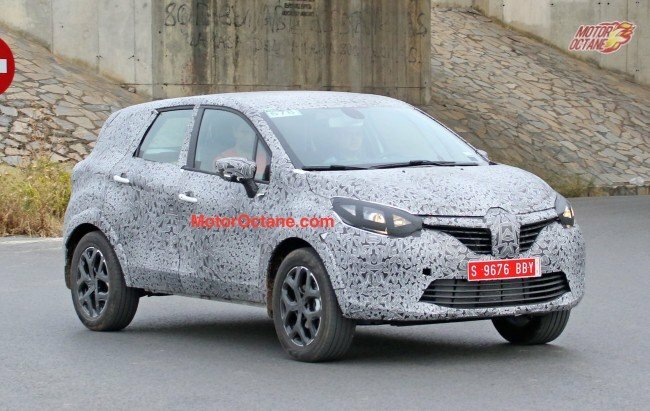 Then it will be launched under Renault badging. This is likely to happen in the second half of 2017. Deliveries will commence by the end of 2017 in Europe. However for India, it will be making its way by early 2018. Even UK will get it by early 2018. 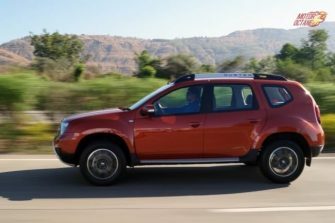 The new-generation Duster will be larger in size and will get a new-generation of petrol and diesel engines. The existing 1.5-litre K9K engine will be tweaked for better performance and higher fuel efficiency too. 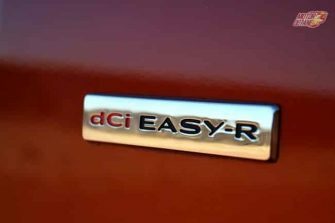 It will be even offered with an automatic (AMT) transmission on the diesel engine. 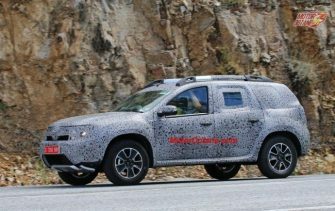 Renault has plans to make the current Duster into a seven-seater SUV. 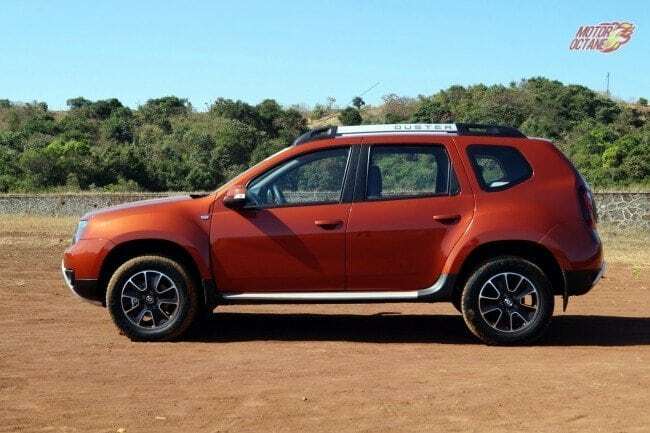 The Duster will get a 1.2-litre turbo petrol engine with an option of seven-speed dual-clutch transmission and the diesel will be the 1.5-litre with 108bhp of power and sic-speed manual and AMT. 7 Seater Grand Duster will have the same engine specifications like the other Duster. 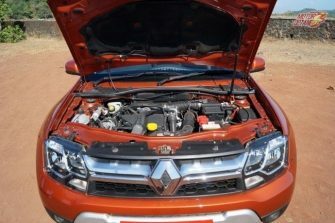 Renault is looking at adding a range of new engines to the Indian car market, some could even make it to India as well. The 7 Seater Renault Grand Duster will have a fuel-efficiency of about 13km/l for the diesel engine in city, while on the highway it should be about 17km/l. 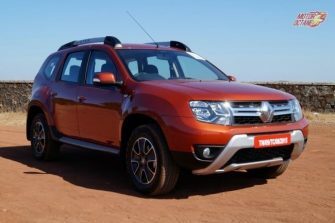 There won’t be a major change in the weight of the 7 Seater version and we could expect to retain a similar weight on the Duster. 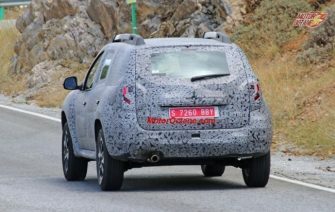 The test mule has been spotted in Europe. 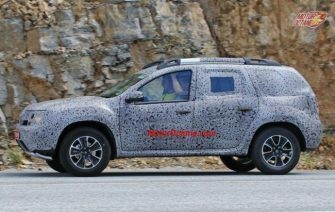 This will first be unveiled as a Dacia. 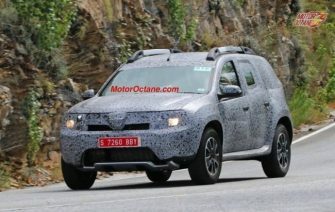 This new SUV will be based on the Duster Oroch pick up, which was showcased at the 2014 Sao Paulo Show. Renault is looking at making India as one of its largest markets, so we can expect them to get the new-generation Duster in a short span of time. 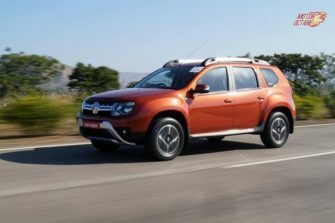 Expect the new-gen Duster to be launched in India around 2017 and this should be priced at INR 12-16 lakhs (on-road approximately), though it is a bit early to come to such a conclusion. 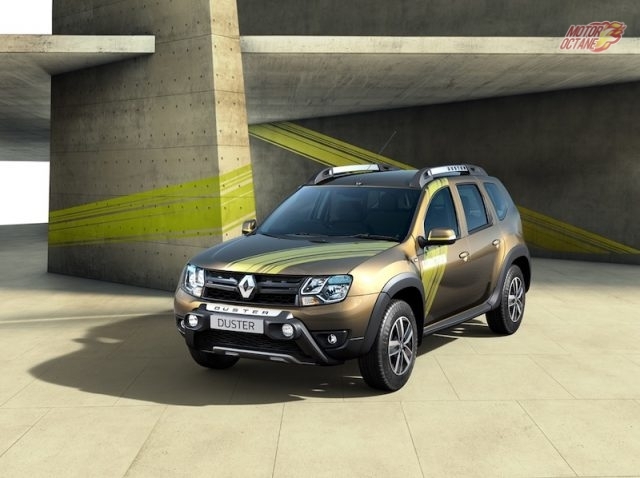 Renault, one of the fastest growing automotive brands in India, today announced the launch of New Duster Sandstorm edition. 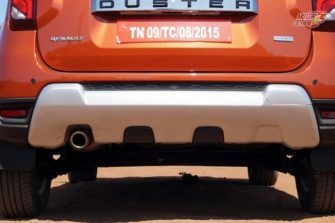 With 9 new exciting enhancements, the Duster Sandstorm has an imposing presence and is tailor-made for true automotive enthusiasts. 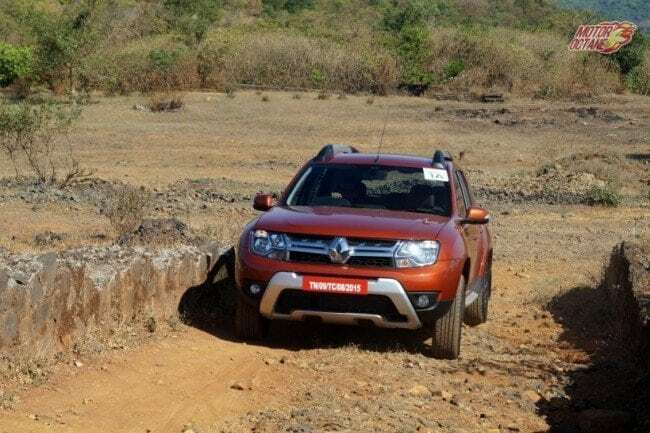 The Renault Duster Sandstorm Edition will be available in two trims – RXS Diesel 85 PS Sandstorm edition offered at an attractive introductory pricing Rs 10,90,400 (ex-Delhi) and RXS Diesel 110 PS Sandstorm edition offered at an attractive introductory pricing Rs 11,70,400 (ex-Delhi). 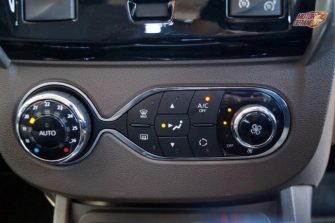 The Renault Duster Sandstorm comes with 5-speed and 6-speed manual transmission and is available in a 2-wheel drive (2WD) option. 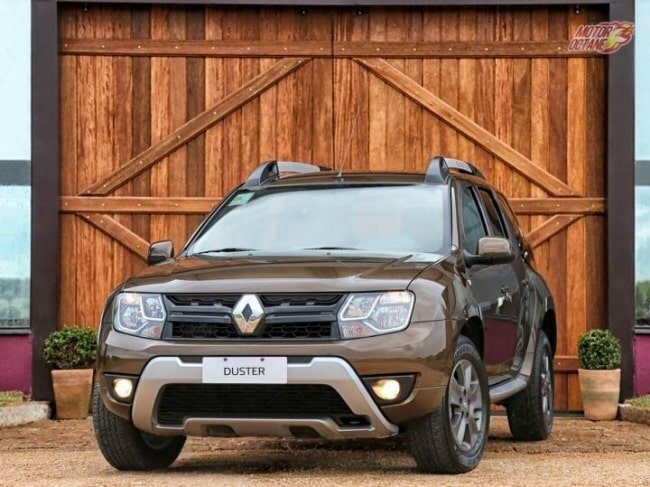 The New Duster Sandstorm Edition is available in 3 colour options – Outback bronze, Moonlight Silver and Slate Grey. 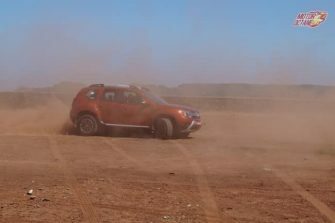 The Renault Duster Sandstorm will be launched this month i.e. September 2017. This will be just ahead of the festive season, which will help the company rope in more customers during this period. 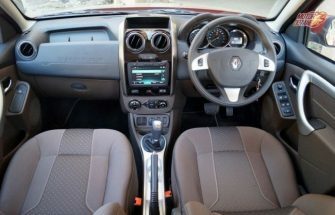 Car buyers generally save up to spend in buying a car during this period. 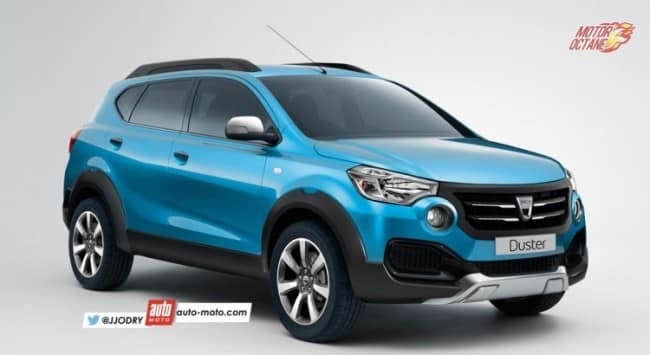 Renault will try to grab some its market share back from Hyundai Creta. 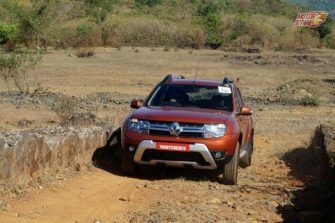 The Renault Duster Sandstorm is expected to cost ₹9.5 lacs to ₹14 lakhs (on-road). The special edition will have a slightly higher price as it will be getting certain upgrades. 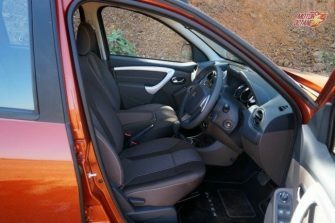 The prices will not overlap with the Captur as there will be a gap in their prices. Designees there will be no change in the Duster Sandstorm . The basic design will remain the same. It will get some additional body cladding. 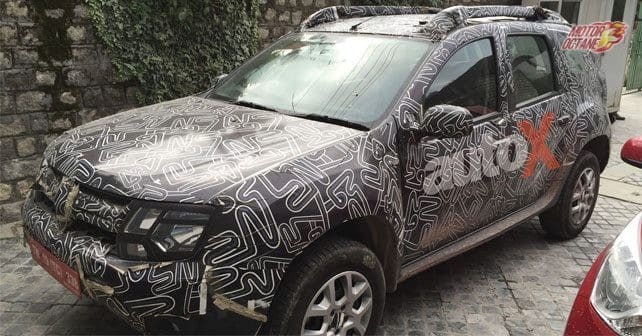 There will also be new body graphics that will enhance the look of the vehicle and differentiate it with the regular Duster. There will be a new badge that will read Sandstorm. 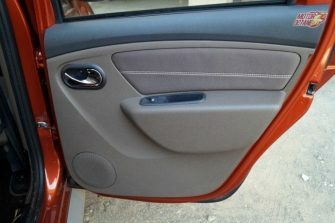 The interiors of the the special edition will also remain the same. 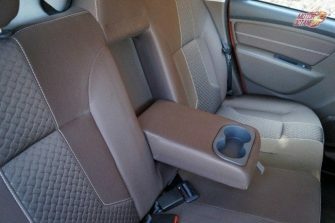 It might get new seat covers. 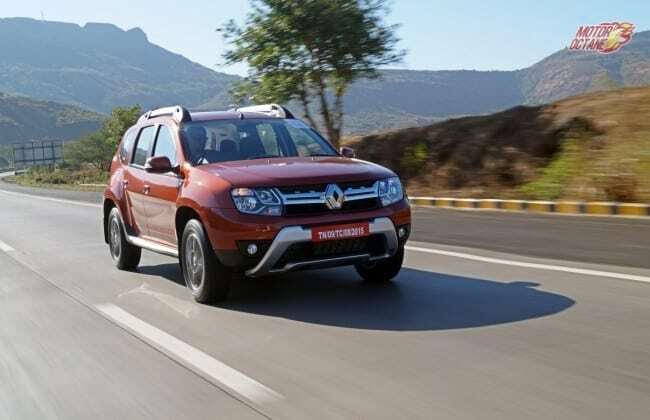 The Renault Duster Sandstorm will be available in both petrol and diesel engines. 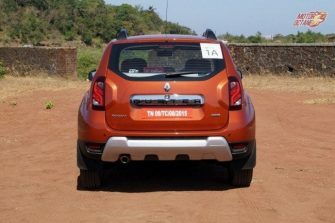 The petrol is a 1.5-litre engine churning out 105bhp of power and 142Nm of torque.The other engine is the 1.5-litre diesel. 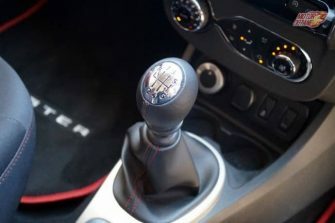 This is available in two states of tune – 84bhp and 108bhp. 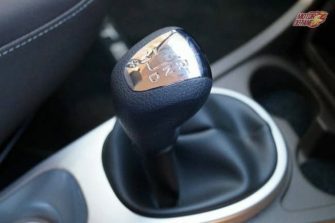 Transmission options in petrol include a five-speed manual and a CVT. The diesel engine will be available with a five-speed, a six-speed manual and an AMT. There will also be an All Wheel Drive available. The Renault duster has always been known to provide good fuel efficiency, especially the 84bhp diesel version. The petrol will give an overall mileage of 12km/l. The lesser powered diesel engine gives the best mileage of around 17km/l while the higher powered engine will return around 15km/l overall. These figures in real life driving conditions and a mix of city and highway driving. These may also vary driver to driver. 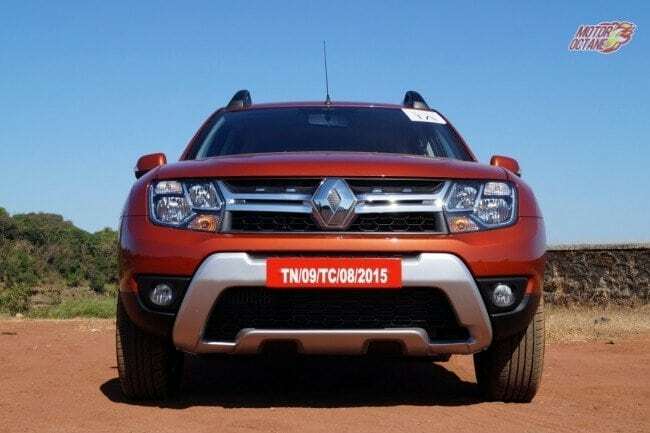 Renault Duster Sandstorm is a special edition that will come with additional features. It will be a good option to consider. 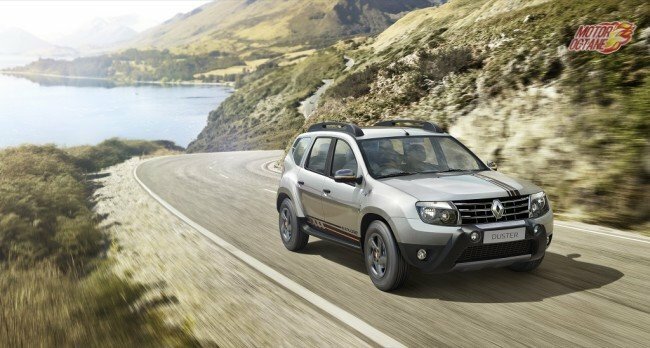 One of the most successful brands from Renault – the Duster will present itself in a totally new avatar in 2017. 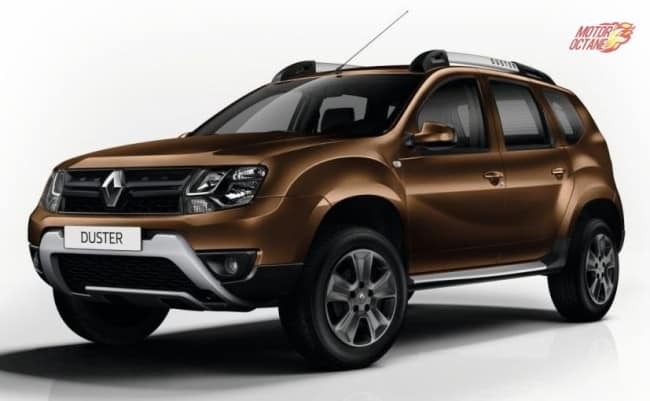 Based on several ideas accumulated, we have a rendered image of how the future Duster may look like. Renault will be launching a range of utility vehicles (SUV and MPV) in the Indian market, in the next few year and plans to launch at least six new vehicles by 2020. 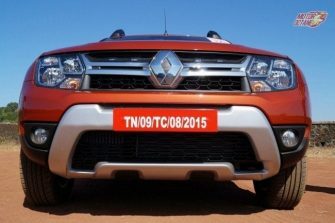 Renault will be challenging companies like Mahindra and Tata. 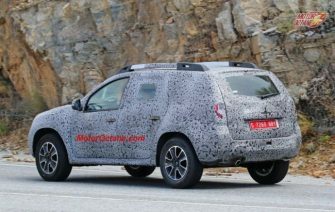 The facelift of the popular Renault Duster has been spotted with camouflage several times. The SUV is slated for a debut in early 2016 and will also come with an Automated Manual Transmission (AMT). 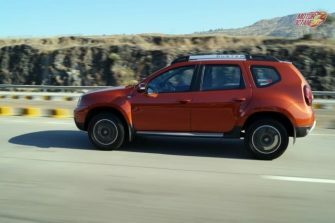 We had indicated earlier that there will be an automatic version of the Duster, coming with its facelift, in early 2016. 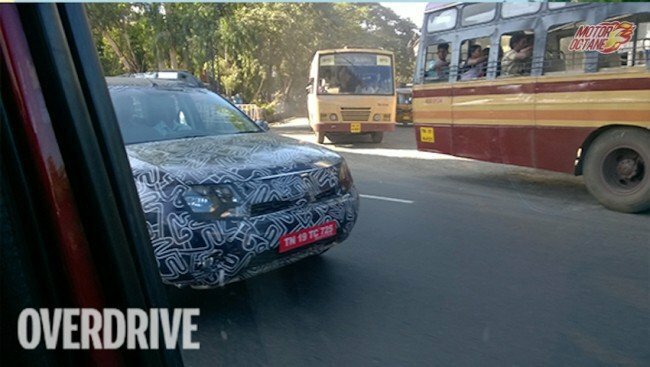 The automatic variant of the Duster has now been spied testing. 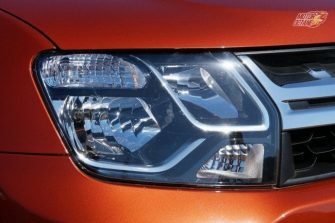 Renault will be launching Duster automatic which will be powered by their 1.5 litre, four cylinder, turbocharged unit with 108bhp. 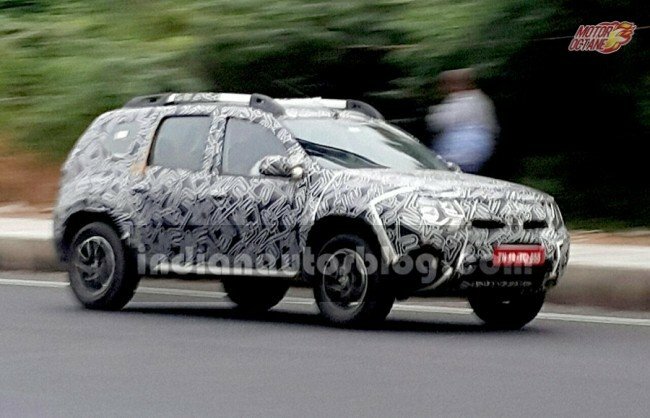 The Renault Duster facelift has been spied yet again testing on the GST Road in Chennai, which has a little less camouflage and this reveals the new headlamp assembly clearly.